The legend says that on one occasion the chief Kamunitzali consulted the Goddess of Heaven asking him for advice on what to do when he had to confront his brothers from the Orinoco River. Over time, the Goddess fell in love with Kamunitzali and a son was born, who became a promise of unity between the Achagua people. 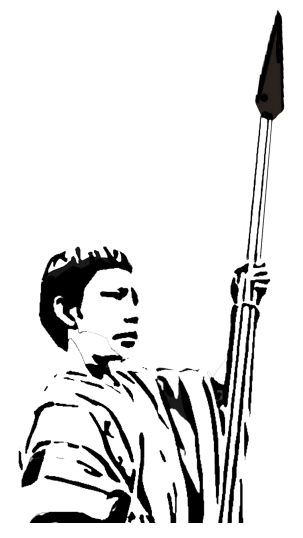 A young hero who became worthy to replace the powerful leader Kamunitzali. He was born from Kamunitzali and the Moon in the middle of a battle when the night was giving birth to warriors. Kajuyalí was born as human and inherited the Goddess\" personality traits: curious, dreamer and romantic; also punctual, willful, intense and laborious. A great leader prospectus to overcome himself and the ghosts that filled his heart with pride and wickedness. Kajuyali was raised in his father\"s Achagua tribe and because he had a lack of his mother, he is given a teacher named Siwakalai who accompanied and influenced him of great adventures and experiences full of wisdom that challenged him to be an exemplary hero to his people. His love is Tzamani who he hopes to marry sometime. His people lived in the eastern and western valleys of the Orinoco River (Yalí and Kaju respectively) where for centuries battles were fought, filled with hatred and revenge from both sides. With the Moon"s help peace was found between the people, and Kamunitzali was able to unify his tribe, stopping these from being wars to becoming ritual battles, where every year there would be winners and a losers, but no deaths. Who ever won the ritual, earned the right to carry the totem of victory and raise their flags to heaven, which they believed gave them the right to grow the best crops of the year. Kamunitzali himself would lead and train young people from both sides who after being evaluated would prepare themselves for intensive days in which they would demonstrated their war abilities. references the passion needed to reach victory. Therefore, Kajus and Yalís cannot me separated. Kajuyalí’s 12 legends are full of adventures where the possibility of death is always present, and the leader Siwakalai throughout his willful questions, builds enough knowledge to create the necessary leadership to be the people’s leader. 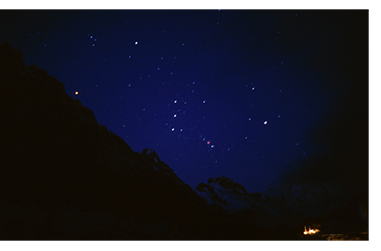 At night, around the light of a bonfire, the Achagüa tribe celebrates the existence of the heroic Kajuyalí when they can visualize him in the Orion constellation. Each of the visible stars that design the body of this “warrior” in an achievement in his personal war to leadership.